I assume everyone knows about my deep and abiding love of Spain. However, I received a couple of emails over the weekend that let me know in no uncertain terms that my assumption is incorrect. You haven't been reading this blog for years and years, dear cochinillos? Really? Well, never mind. We'll put that behind us. Below you'll find links to a few posts where around here it all morphed one summer from a food blog to a travel-ish blog (with food). For those of you who are sick and tired of hearing about this trip, please accept my most heartfelt apologies. There are a few more posts (click on the category link on the right marked "Spain"), but these are the ones that will help you make sense of my references in the future. 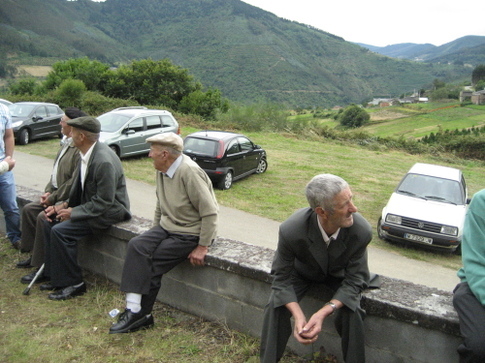 Every morning, all over Asturias in northern Spain, big pots of beans and sausage are fired up to make the day’s fabada. Similar to France’s cassoulet and to Brazil’s feijoada, fabada’s smoky perfume pervades entire villages. Although it’s a robust, heavy dish, it’s made year round. I was a little puzzled by this at first. That was on a bright and balmy day in Taramundi. A couple of days later, it all became clear. 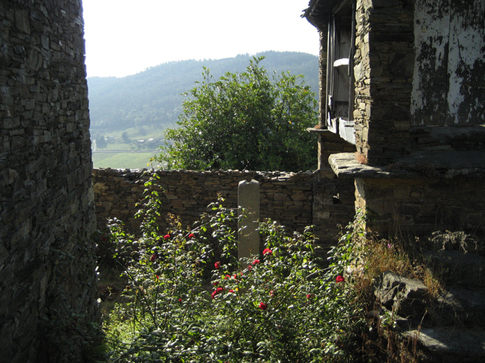 July in Asturias can be heavenly, a mild and sparkling paradise of streams and verdant fields. On the other days, it rains. And it’s cold. The kind of wear-a-warm-sweater-and-good-raincoat-with-your-woolly-socks kind of day. A day when a big, steaming bowl of beans is the perfect antidote to the gloomy mood of the weather. What makes fabada so special isn’t the smoked paprika or the saffron. Nor is it the four kinds of pork—although, I have to say, I like the attitude those meats embody. Why be satisfied with one measly sausage when you can have yet another kind, plus a little pork belly and a lot of ham? That farm isn’t going to take care of itself, you know. You need some sustenance in order to last until your dinner at 10:00 p.m. Plus, how are you going to have the energy to tromp up and down those mountains all day? The best part of fabada, however, is the beans. Fabes beans are gigantic. Their creamy insides become permeated with all the flavors of the stew and each bite is a gentle, almost imperceptible pop of saffron and smoke. Unfortunately, the beans themselves are ridiculously expensive. 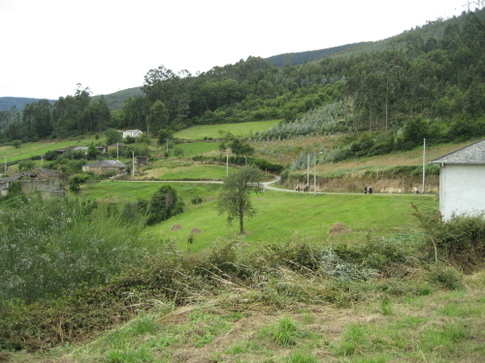 There just isn't a big crop of them because they’re eaten almost exclusively in Asturias. Although the export market is miniscule, luckily you can order them here in the U.S. at La Tienda or pick them up at Despana in New York. If you’re really desperate, corona beans beans from are an adequate substitute. Below you’ll find a recipe loosely based on one from Jenny Chandler’s indispensible book, The Food of Northern Spain . Everyone makes fabada a little differently (of course) but with a little family research and some observation, I think I’ve gotten as close as I can to a dish that for me evokes the smell of wet stones and grass, and the sound of rain against the casements. Place the beans, chorizo, morcilla, ham, saffron, smoked paprika, and the onion in a large pot and cover with cold water. Bring slowly to a boil, skimming off any scum that rises to the top. 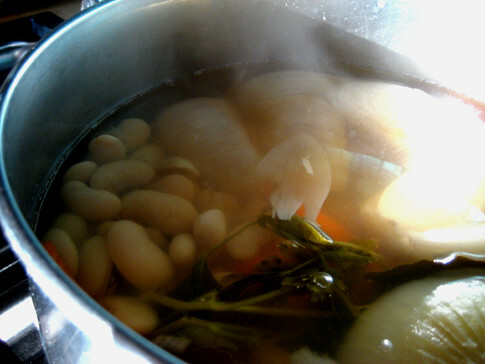 My husband’s aunt and Jenny Chandler recommend throwing in a cup of cold water to “shock” the beans when they come to a boil and then reduce to a low simmer. You want to cook the beans very slowly so that they don’t fall apart and become mush. For this reason, you shouldn’t stir the pot either, but just jiggle it a little to make sure nothing is sticking to the bottom. Cook for two to three hours, tasting for tenderness. Whenever the liquid gets a little low, “shock” it with a little more cold water so that the beans are covered while simmering. Although you can serve the fabada right away, it’s best if you’ve made it in the morning and it’s had a chance to sit for a few hours. In fact , it’s even better made the day before. Add a green salad and a temperanillo, and you have dinner for eight. Or dinner and/or lunch for two all week long. We all know this story. I myself frittered away the morning getting misty-eyed over videos of Taramundi on YouTube. But for those of you who'd like a quick recap of my trip to Spain (anyone? 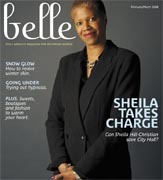 ), pick up a copy of the mid-season arts issue of Style Weekly and rifle through it until you find Belle. It's worth it just for the fabulous photo of Serrano ham that tops the piece. Is it autumn? It must be, because I finally was able to turn off the air conditioning (it's October! ), put on a sweater, and think about hot, savory food for the first time since, well, since Spain. We had a plenty of days like yesterday and today this past July, while Virginia dripped and melted in the heat and humidity. So, now when there's a cool bite to the air, I immediately start craving saffron and garlic like some kind of helpless Pavlovian dog. And I crave beans. Somebody's always putting a dish of gigantic beans in front of your face in Northern Spain at just about every meal, but the beans themselves are different from most we have here. The big white fabes beans, fat and creamy, absorb every bit of the garlic flavor of a dish and burst with a splat against the roof of your mouth, addictively. Or maybe it's just me and my addictive personality, because I love these beans with a crazy kind of love that demands immediate satisfaction. If you didn't stuff them in your socks (they were in their package and my socks were laundered and air-dried in the Spanish mountains; they weren't loose) and bring them home in your suitcase like me, you can, of course order them from La Tienda or substitute corona beans from Chefshop.com. If you just can't, can't wait to try the following dish, cannellini beans are a kind of pathetically adequate substitute. Fabes are the main ingredient in the famous Austuriano fabada, a porked-out bean stew I'll talk about another time. 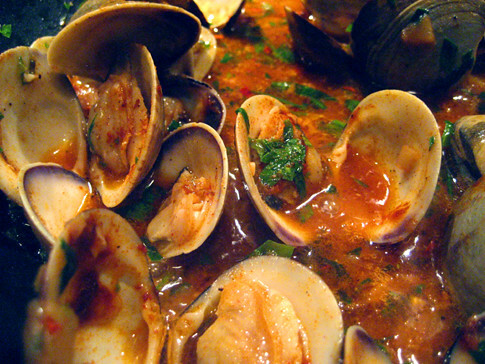 They pair spectacularly well with seafood too, as in the following recipe for fabes con almejas. They're also easy to overcook into mush, so most people recommend simmering them very, very slowly over low heat, and in the case of the dish below, adding the clams at the last minute. Soak the beans overnight. Drain the next day and cover with cold water. Add the onions, garlic, carrot, parsley sprigs, and bay leaves. Bring to a boil, add 1 cup cold water to cut the boil, then return to a boil, cover, and simmer very slowly, 1 1/2-2 hours, until tender. When the beans are almost tender, start the clams. Heat the oil in a skillet and saute the onion and garlic until translucent. Add the clams and cook over a medium high heat, stirring frequently, until they open. Sprinkle in paprika and parsley. Add the wine, red pepper flakes, and pepper. Cook 5 minutes more. Stir in the saffron and salt to taste into the beans, then add the clams with all their liquid to the pan. Shake the pan to mix in the clams, then cover, and cook for five more minutes. Scarf down at once and destroy your receipt for the beans from La Tienda before anyone else sees how expensive they are (remember, you have enough beans, thankfully, to make this again). Serves 4, with leftovers.